Jukumari, Musée du quai Branly, Paris. Photo by Alistair Gentry. 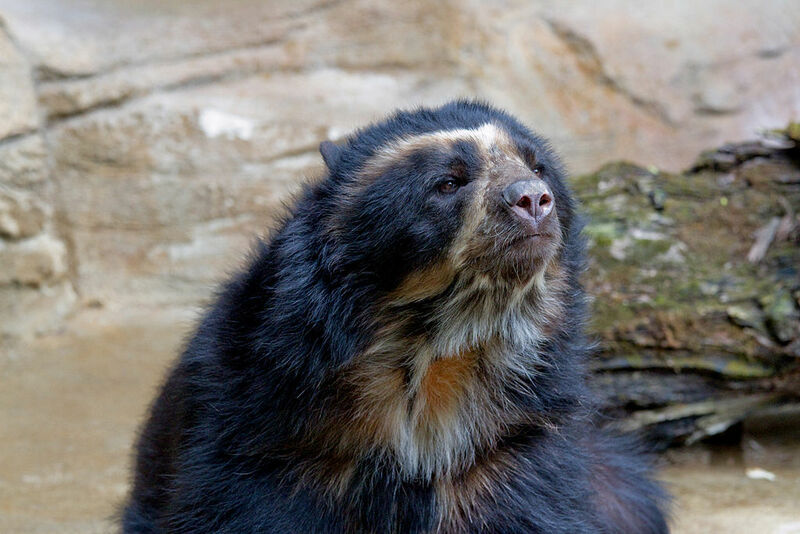 The Andean “bespectacled” bear, the Jukumari, lives at different ecological levels of the Andean cordilera. For this reason he is seen as a mediator between different entities, god-like and human, or different human groups. 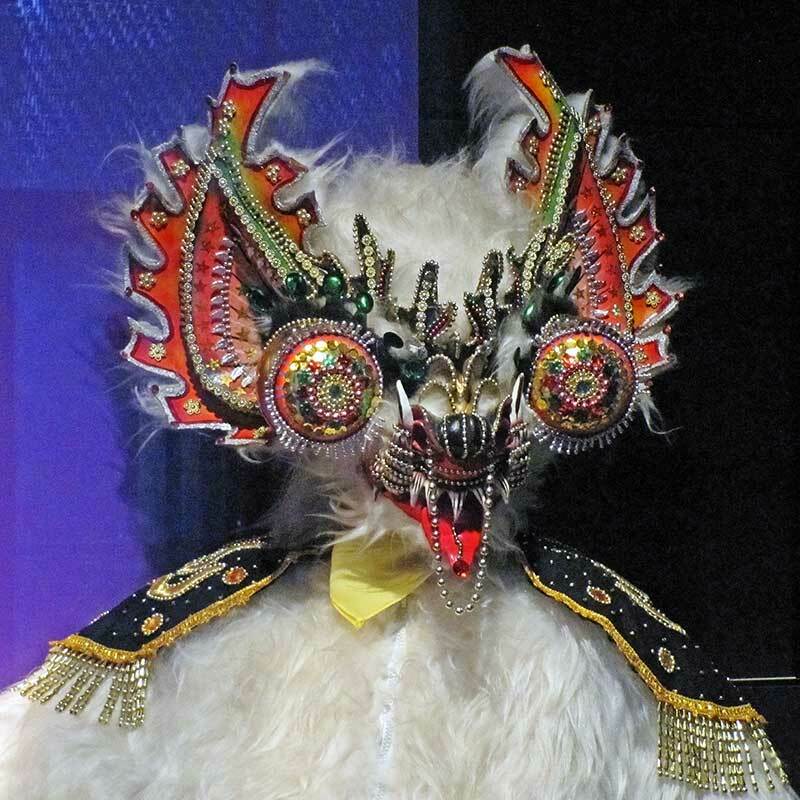 He is present in several dances from the Andes in Bolivia, in particular the Diablada and the the Morenada. 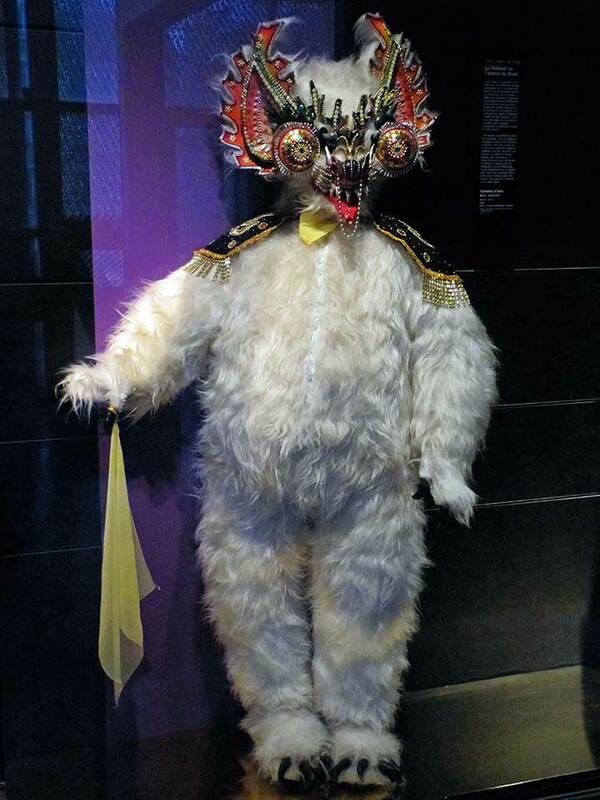 In the Diablada he has a playful role: he is the character that chats and interacts with the public. The Jukumari evolved into a polar bear. He does not care in the slightest about epaulettes, silk hankies, gold braiding or sequins. He will bite your face off if you attempt to style him in any manner whatsoever. Jukumari, on the other paw, is into all of the aforementioned and more, nudge nudge, wink wink, know what I mean?